Personalized license plate fees for both new plates and renewals were increased by $10 this year for vehicles with tabs that expire on or after Oct. 1, 2013. The additional $10 will be deposited in the state Wildlife Account used by the Department of Fish and Wildlife to support programs focused on the study, protection and enhancement of wildlife species that are not hunted, fished or trapped. Often referred to as “nongame wildlife,” these species represent most of the endangered and non-endangered animals in our state. Individuals with personalized license plates due for renewal on or after October 1st will now pay $42 per year in addition to all other annual registrations fees. The fee for new personalized plates was increased to $52. There are currently about 85,000 vehicles in our state with personalized license plates. 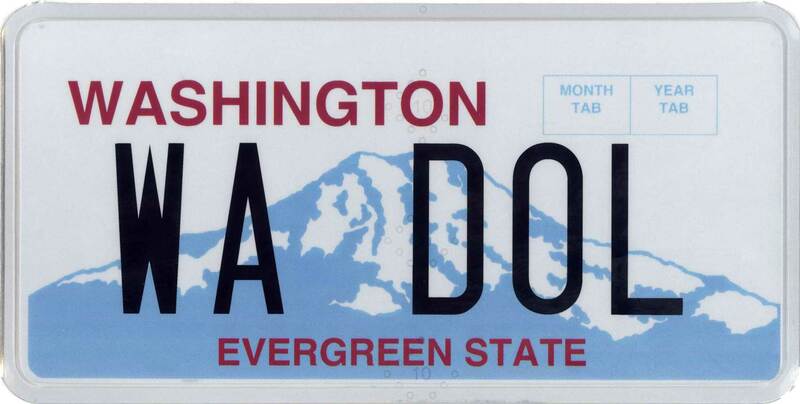 To learn more about personalized plates, visit dol.wa.gov. You are currently browsing the Licensing Express blog archives for October, 2013. Discover what else you can do! The Department of Licensing (DOL) Blog was created to provide Washington citizens with news and other useful information about the agency and issues we are involved in. Views expressed by the authors and users of The DOL Blog are not necessarily those of the Department of Licensing. Comments posted by users will be reviewed to ensure they comply with DOL’s blog use policy. Comments will not be edited by DOL; only comments that comply with the agency’s policy will be posted. Posts within The DOL Blog may contain hypertext links or pointers to information created and maintained by other organizations or individuals. These links are included to provide additional information or perspective. DOL does not control or guarantee the accuracy of information contained on linked websites and does not endorse the organizations or individuals that operate them. Report an inappropriate link.